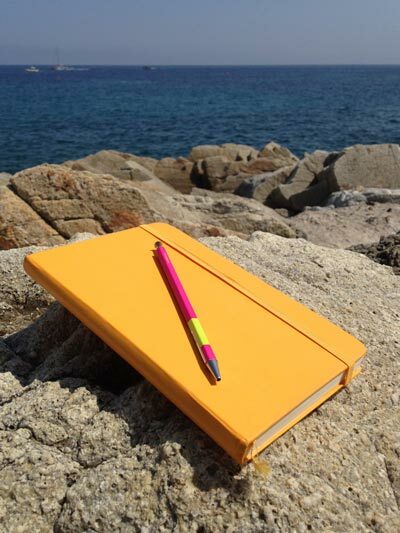 I was holidaying on Elba in 2012, the year my first book was published, and my mind was buzzing with ideas for future stories. I knew that one day, when the time was right, I wanted to set a novel on the island. We’d first discovered Elba back in 2003, and, at that point, I didn’t know anybody else who’d ever been; it was a true gem that felt uniquely ours. To me Elba was, and is, a place of romance, of great beauty, and for all its influx of summer visitors from the Continent, blessed with a pervading sense of serenity. Our days were made of little more than dips in the sea, reading on the beach, wandering the hotel’s gardens, sunset coloured drinks at dusk, and food, food, food. This was what I wanted to capture – Elba as a place of restoration and revitalisation, of abundant hospitality and immense beauty and languid summer nights. The Napoleon connection – he was exiled to the island in 1814 – made me interested in self-exile. I liked the idea of somebody coming to Elba and building a new life; what’s driven them to start again? An idyllic setting, then, with a cast of characters each harbouring uncomfortable secrets. I began with these thoughts, wrote half of a first draft, then abandoned it; when I started work again all of the components of the original idea were there – the self-exile, the new life, the sumptuous setting, the discord between characters – but much was altered. 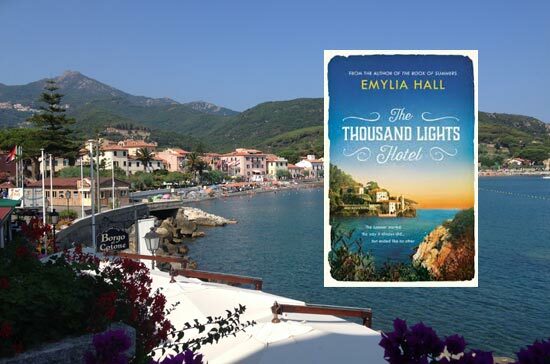 The Thousand Lights Hotel feels true to the original impulse I felt back in 2012 – to write a story that captures Elba as I love it. Tuscany is beloved of us Brits, and much visited in books and film; I never tire of stories set among its green hills. 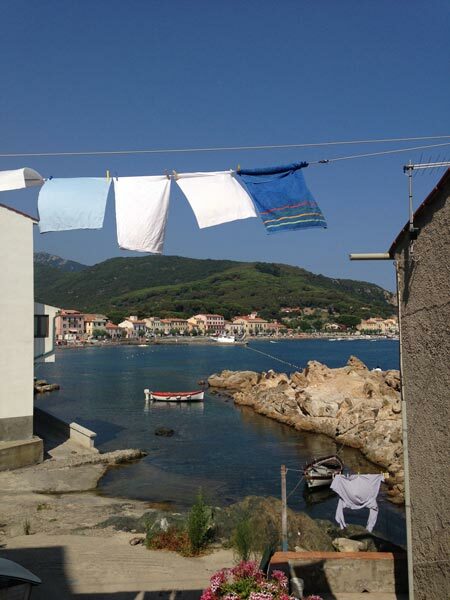 But what really struck me about Elba was how different it felt to the Toscana I thought I knew. The island lies just six miles from the mainland, and is part of the Tuscan Archipelago, but feels a world away from ‘Chiantishire’. 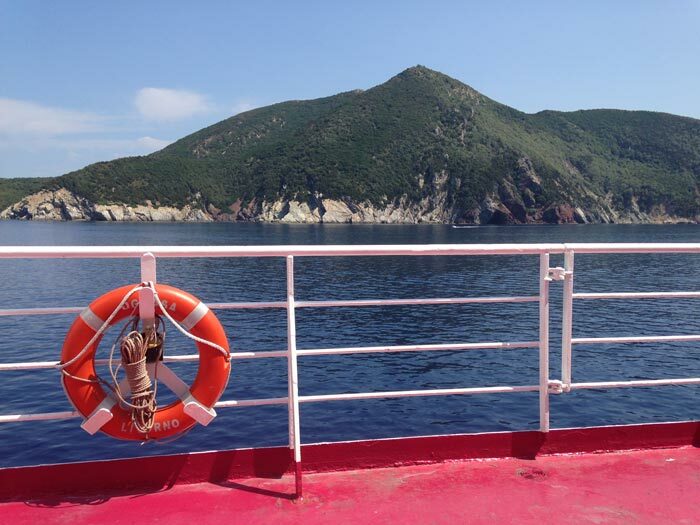 Taking the ferry from the port of Piombino, Elba is immediately visible, its wooded outlines beckoning across the crystalline water. Move closer and you’ll see caramel-coloured rocks, popping- pink flowers, forests of chestnut and sycamore and pine. 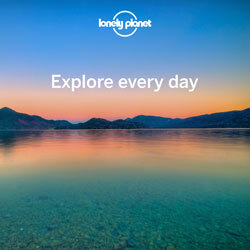 There are colourful fishing villages, abundant palm trees, and the exotic outlines of Prickly Pears. You can walk paths marked by fireflies at night, and snorkel among shoals of rainbow coloured fish by day. It’s a place of heat and beauty and tranquillity, and, strikingly, very few Brits. Over the years I’ve spent about a month on the island, and have never heard more than a handful of English voices. I want readers of The Thousand Lights Hotel to feel as though they’re staying at the Hotel Mille Luci, and to bask in the setting just as I have done. I did my research through a combination of vivid memories from past trips, desk-bound travel, and a solo trip to Elba in the early stages of my first draft. As a place it was already firmly imprinted on my imagination, and right at the beginning of the process I wrote, quickly and freely, all my impressions of the island and my existing connection with it. It felt like such a pleasure to re-live it all, and there was such richness, that I knew I was going to enjoy inhabiting Elba for the duration of a novel; it was leaping off the page at me, before I’d even started to shape it. The Lovers’ Festival at Capoliveri, and the legend of Maria and Lorenzo’s ill-fated romance, became a key part of the story as time went on; my editor at the time brought this festival to my attention, and I read up on it, seeing if I could see a way to weave its significance into my own narrative. Once I discovered an expanded version of it – one that told the story of the man who first commemorated the two lovers with a thousand burning torches at the beach of Innamorata – I knew I could place it at the heart of the story. For location research, using Google Streetview I wandered up and down the mountain roads, the beach fronts, the capital of Portoferraio. 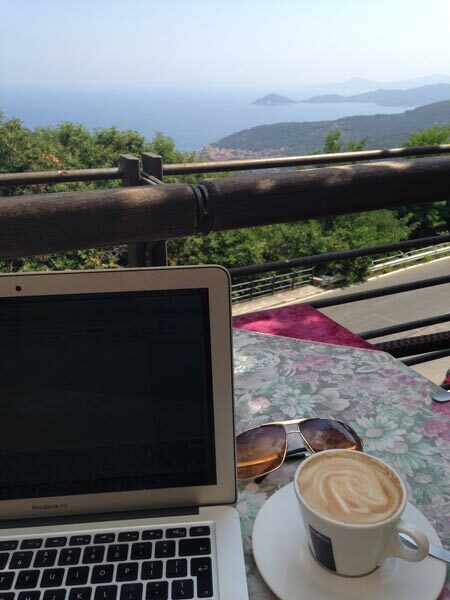 But I still felt I had to go, had to see it all, feel it all, and write it directly into the novel; so I spent five nights on my own in Marciana Marina in the summer of 2015, inhabiting my work-in-progress with a delicious sort of intensity. Did you visit the locations? I did. Marciana Marina, the town that’s local to the Hotel Mille Luci, was new to me. I decided on it based on desk research, and staying there in person clinched it – it was perfect, a peaceful fishing village, with a charming resort feel, and the most beautiful horseshoe shaped bay. I also visited Marciana Alta, an ancient village lying high in the hills, one baking day in July. I wandered the alleyways, marvelling at the heights of Monte Capanne, cooling off with Limonata as I sat and worked beneath a parasol. The fictional Hotel Mille Luci itself is set along the coast from Marciana Marina, heading towards Sant’Andrea – the cape where I’d stayed twice before – an imprecise location as my main setting, but no less vivid for it! And Portoferraio – where Kit first arrives, and which we revisit again towards the end of the novel – I also loved exploring on foot: it’s a stunning island capital, sun-baked, elegant, and ever welcoming. 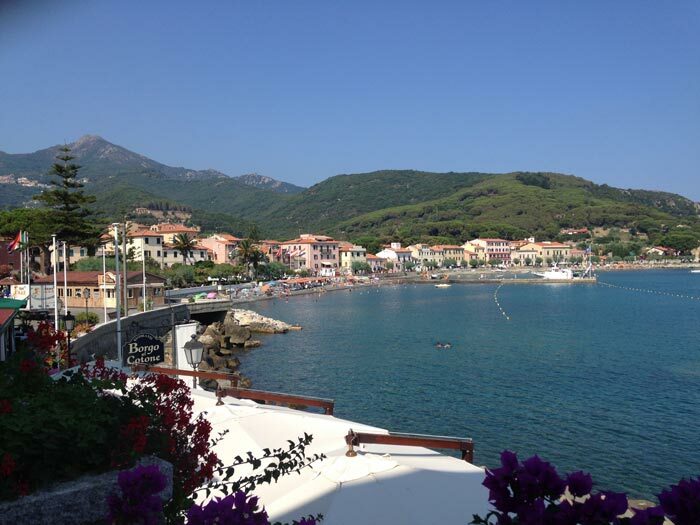 The only place in the novel that I haven’t made it to in person is the town of Capoliveri and its cove of Innamorata. The Lovers’ Festival will be taking place on the night of the 14th July, as it does every year – by coincidence the day after my book comes out; suffice to say I will be there in spirit, an Aperol in my hand, sand between my toes, and feeling thankful that I got to know, and love, the island of Elba. 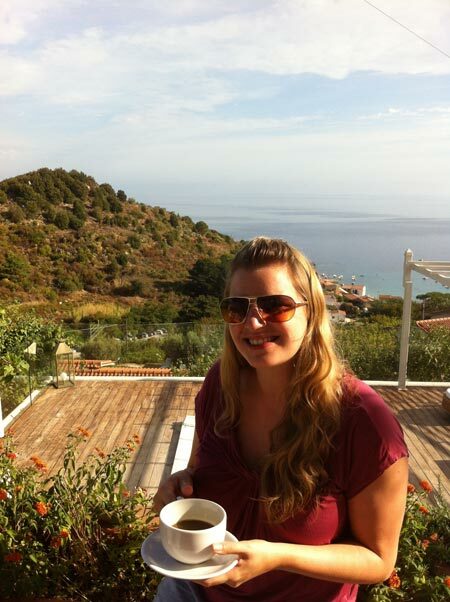 Thanks Emylia for fuelling so much wanderlust!